This weekend has been nothing short of chaos with Rowan's newfound ability to climb out of his crib. Sooo needless to say I'll be getting all of my holiday shopping done online today! 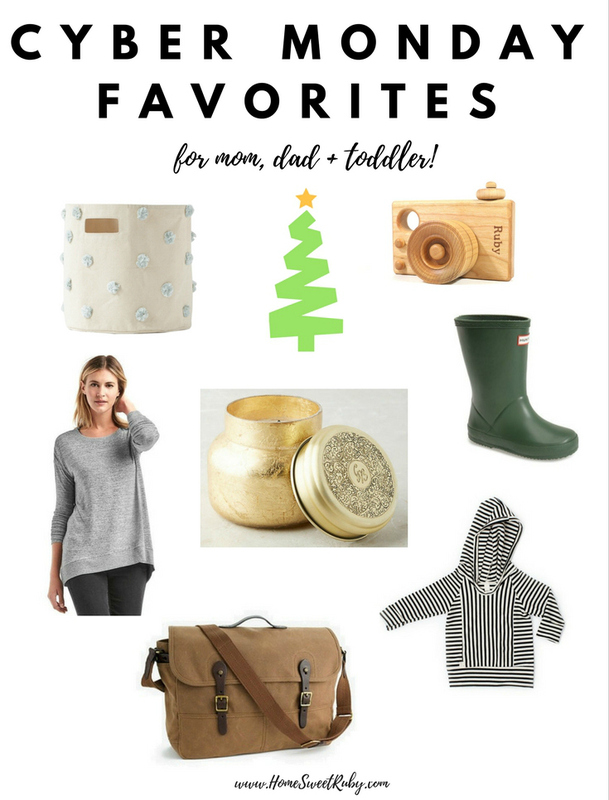 There are so many good deals out there so if you've been putting your shopping off like me, here are some of my favorites! Pehr Pom Pom Bin. Bannor Toys Wooden Camera. Gap Softspun Hi-Lo Tee. Childhoods Clothing Hoodie. Toddler Hunter Boots. Capri Blue Candle. J. Crew Messenger Bag. Pehr Designs: 30% off all storage and free shipping with code STORAGE30. We love our Pehr bins so this is a great deal! Nordstrom: Extra 20% select sale items and 25% off Hunter Boots! Target: 15% off your purchase. I love the Cat & Jack line for kiddos!, especially these soft skinny jeans for playdates and school! 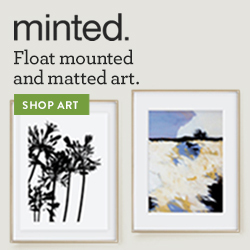 Minted: 20% off everything with code CM2016. They have so many good gift ideas... R's footprint art is still my favorite! Hope you all find some great deals!! Yes to all of these!! 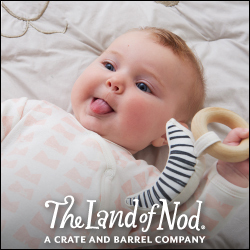 Hope the crib climbing has stopped or you've found a solution. Good luck with whatever you decide, these toddlers keep us on our toes!